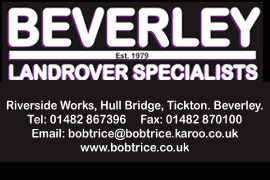 Christmas Archives | HU17.net – It’s all about Beverley! 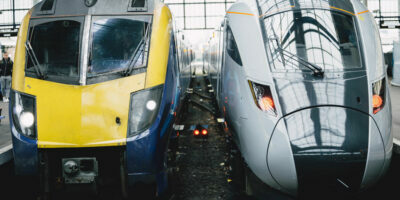 Hull Trains gave its passengers and local key stakeholders a glimpse into the future of rail travel when a test version similar to its new £60m fleet visited the city. Hundreds of people visited Hull Paragon Interchange on Friday to catch a first-hand glimpse of the state-of-the-art Hitachi Class 802 train. A local charity is asking residents in Beverley to save 40 pence for 40 days for Lent. 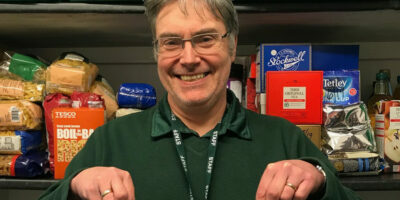 East Yorkshire foodbank hopes residents will take part in their #40for40 challenge. East Yorkshire foodbank is looking to raise cash so they can continue their fight with tackling food poverty in the are. Young winners of a colouring competition which was held at Beverley Market have been presented with their prizes. 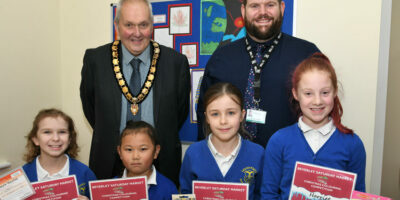 Judges decided the four youngsters, who are all pupils at Leconfield Primary School, produced the best festive artwork for a Christmas family day held at Beverley’s Saturday Market in December. 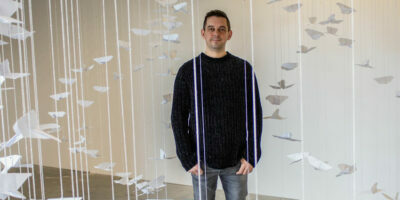 A community art installation at Beverley’s Flemingate centre is spreading messages of hope and peace for the year ahead. The project, entitled “1,000 Origami Doves of Peace”, saw members of the public and local school children create folded paper doves, each with an individual message of hope and positivity are hidden inside. 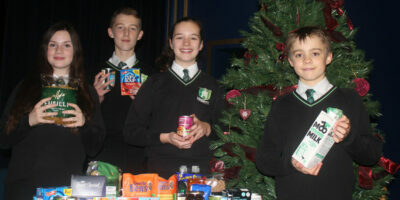 Before Christmas, students at Longcroft School and Sixth Form College lent their support to the East Riding Food Bank. A large number of items were generously donated by students, families and members of staff, as part of a drive to raise awareness of this important local charity, which supports many people in Beverley and the surrounding area. 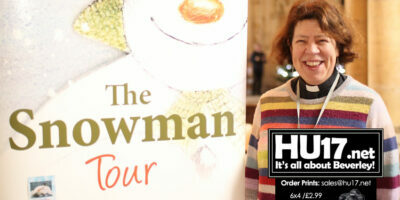 Touring show The Snowman will be in Beverley for three dates this Christmas promising. Taking place at Beverley Minster on 27 December the show will be shown three times. This is the first time The Snowman tour has visited Beverley. Tickets for the performances are still available, which take place at 1.30PM 4PM and also 7PM. Last Minute Christmas Shopping for gifts can be challenging. 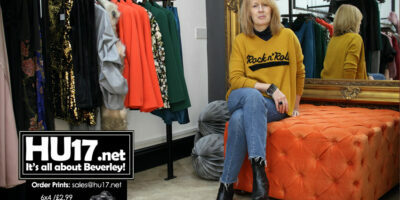 However, in Beverley, there is an abundance of independent retailers who can help you out. With Christmas fast approaching, a simple trip to local high street could be the answer to your problems. No one wants their Christmas and New Year ruined by being unwell. 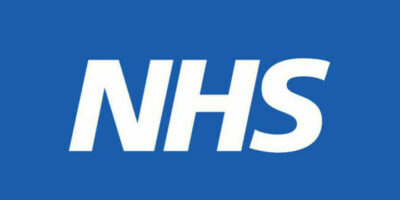 So the NHS and its partners are urging people to stay well this winter by being prepared. They are offering the following advice to people in the area to ensure that they can enjoy the festive period. Scale Lane Bridge in Hull’s Old Town is to feature Inspirational messages and poems. The messages will appear as part of the mental health campaign ‘you are not alone’ by HeadStart Hull. It is hoped through art, it will help challenge the stigma associated with mental health and suicide. Beverley’s premier Rodizio Bar & Grill Chamas say they are hoping to bring some Christmas joy to children in the local area. 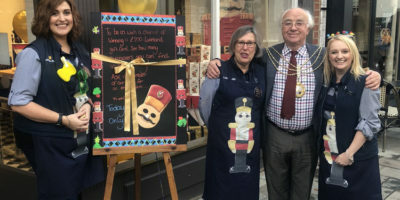 The Brazilian Rodizio on Wednesday Market has teamed up with the local charity Bundles of Joy and is getting behind their Christmas Present Appeal. Hull Samaritans have expressed their gratitude to shoppers in Beverley after they raised over £600 in donations. Organised by Anthony Rheinberg, the Hull Samaritans were in Beverley on 2 December and were delighted with the donations received. 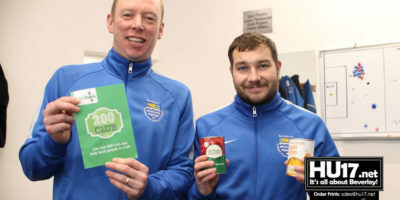 Football players in Beverley have got behind a campaign being run by the charity East Yorkshire Foodbank. Beverley Town put an appeal out to football players in the club to bring a tin of food to their match on Saturday. 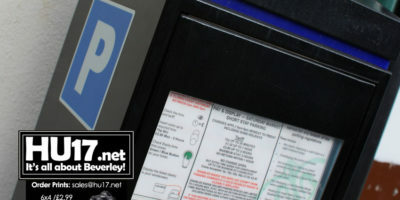 Free Parking at weekends is to be offered in Beverley and the rest of East Riding. Now in its ninth year, East Riding Riding of Yorkshire Council hope it will help boost sales on the high street. Free parking will be available to motorists in all areas operated by the council. This will include both on and off street parking. Lakeland Beverley has launched a competition that will give customers a chance to win £200 of vouchers. Running for the next two weeks the Nutcracker Competition will challenge shoppers. To win all you have to do to count how many Nutcrackers you can find hidden around the store. 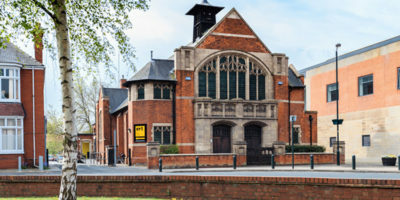 Goodnight Mister Tom will be coming to the East Riding Theatre this Christmas. David Wood’s adaptation of Michelle Margorian’s moving wartime classic tells the story of a young boy who is evacuated during the war. 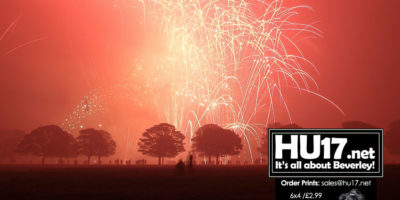 Beverley Westwood Lions pulled off a superb bonfire night and firework display which was enjoyed by thousands of people. An annual event, bonfire night in Beverley is one of the most popular events on the calendar.